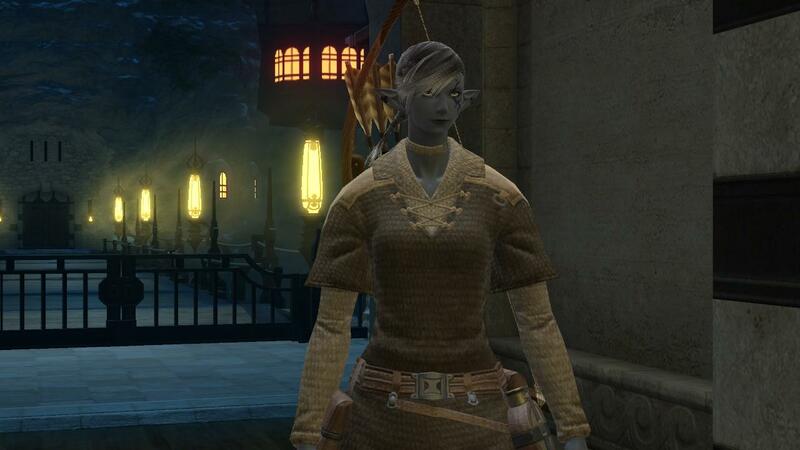 I’ve got 2 characters in FFXIV.. the subscription model is not what I was expecting. For FFXIV you pay a base subscription of about £4/month… that gets you nothing as far as I can tell. Then extra characters cost about £2.10. So the minimum fee is really about 6 pounds a month. I have a thaumaturge and an archer. Both on Ragnarok and both with the same surname Equiphile. Heres a screenie of my Archer taken from a cutscene, patient so the image quality is a fair bit better than when I’m actually playing.